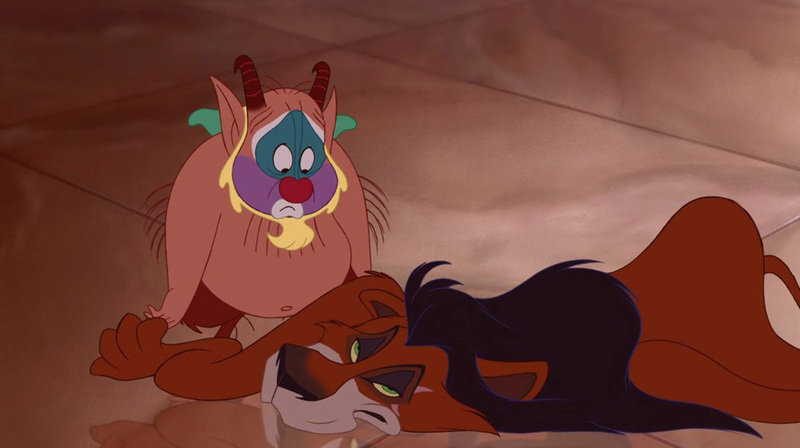 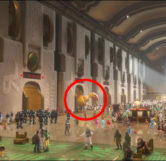 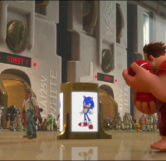 Very early on in the movie as Ralph is heading back to his game after a session with Bad-Anon (the villain support group), he is seen eating a cherry while walking through the Game Central Terminal where we see many famous video game characters. 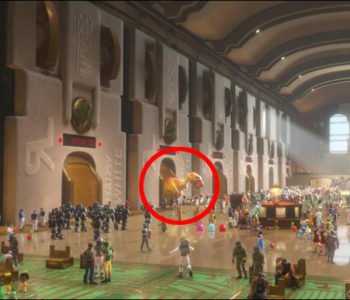 While the video game characters are intentionally added and do not count as easter eggs, if you look in the far back of the terminal you’ll see a yellow and red T-Rex. 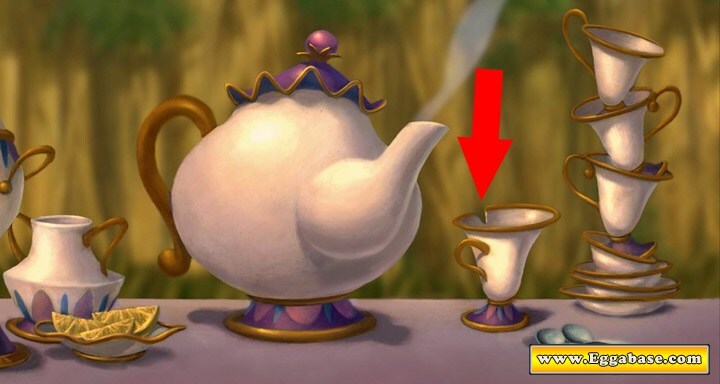 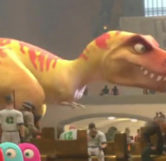 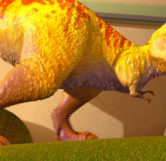 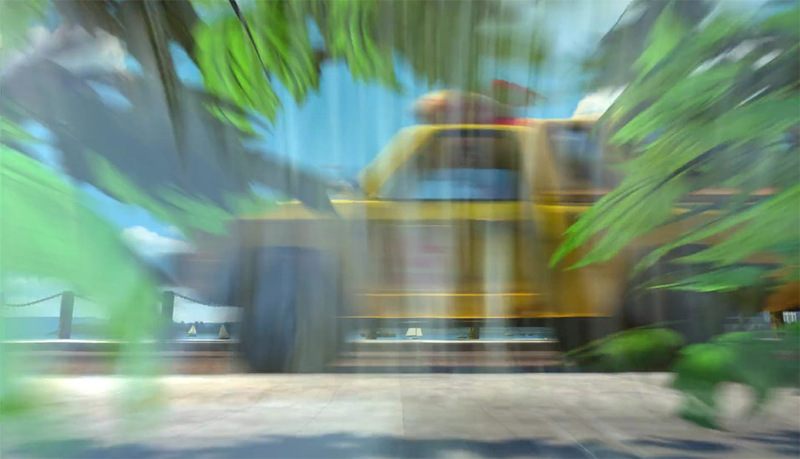 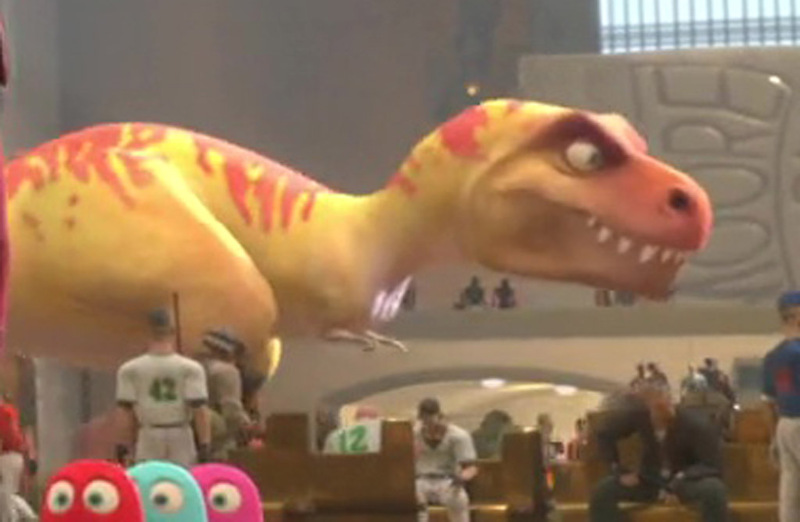 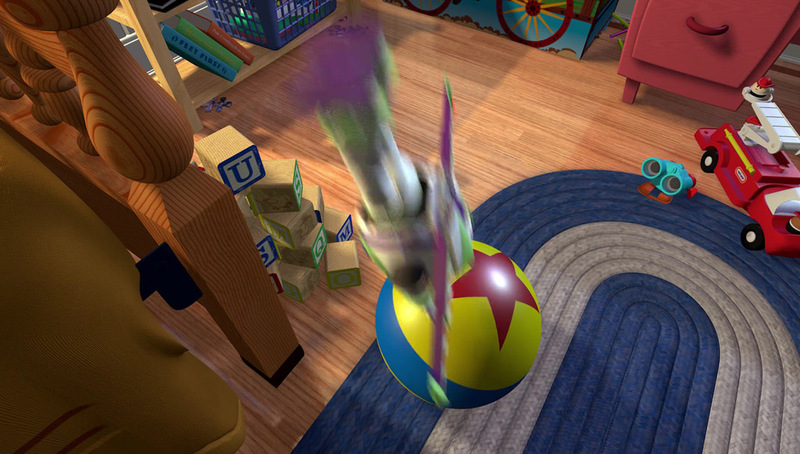 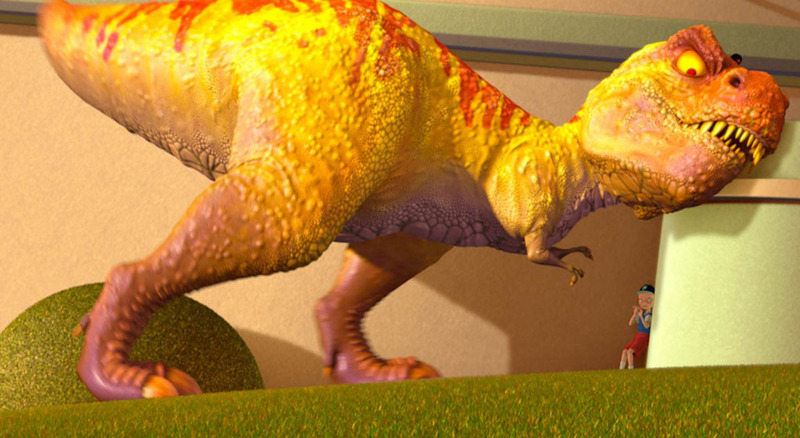 This T-Rex is actually Tiny from the Disney movie, “Meet The Robinsons”.